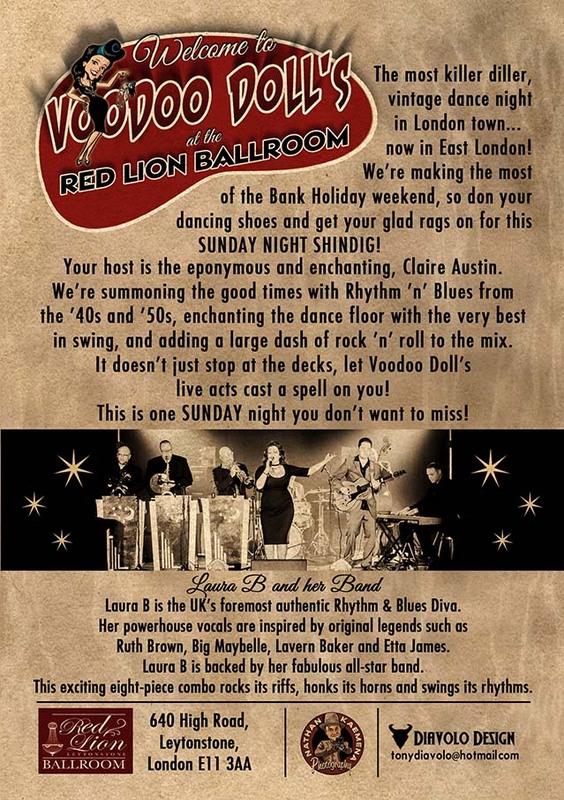 The most killer diller, vintage dance night in London town. 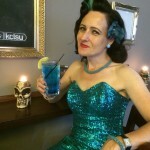 Your host is the eponymous and enchanting, Claire Austin. and adding a large dash of rock ‘n’ roll to the mix. 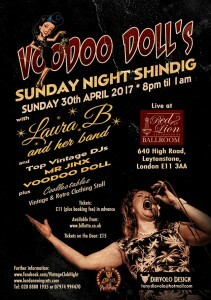 It doesn’t just stop at the decks, let Voodoo Doll’s live acts cast a spell on you! This is one Saturday night you don’t want to miss! 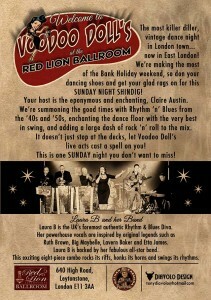 at The Red Lion Ballroom! 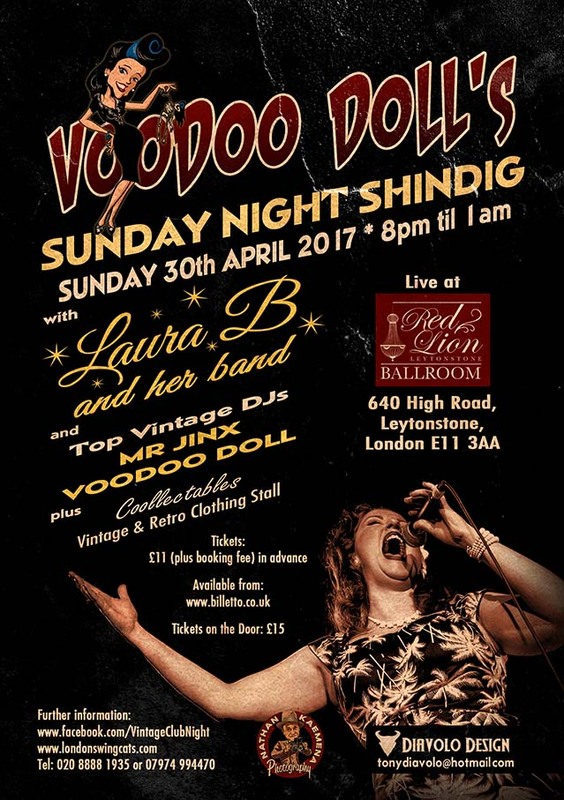 Laura B is the UK’s foremost authentic Rhythm & Blues Diva. Her powerhouse vocals are inspired by original legends such as Ruth Brown, Big Maybelle, Lavern Baker and Etta James. Laura B is backed by her fabulous all-star band. This exciting eight-piece combo rocks its riffs, honks its horns and swings its rhythms. The venue is a stunning ballroom and made for dancing! Huge dance floor and beautiful decor make this the perfect place to spend your Saturday night. 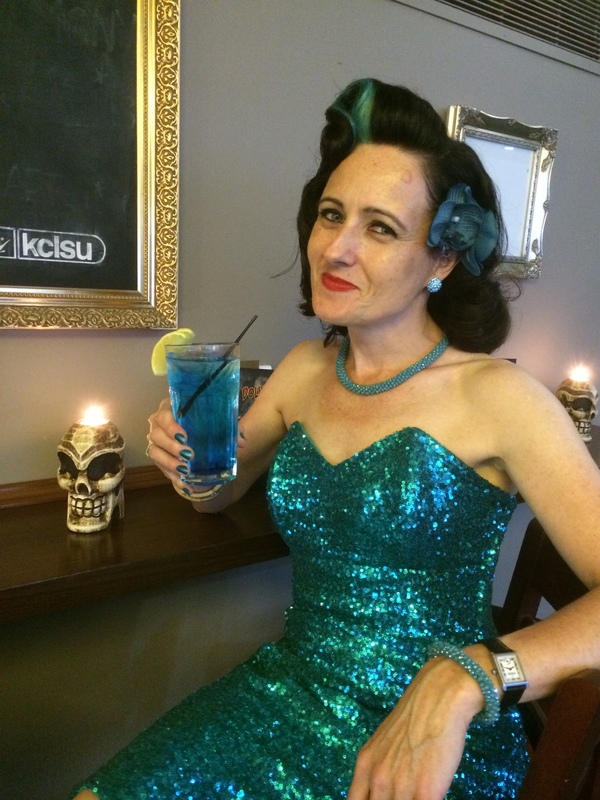 Get your glad rags on and dust off your dance shoes! Even better, it’s only 2-3 minutes walk from Leytonstone Tube Station, on the Central Line.